We have an online state-of-the-art online design platform where you can design and create canvas prints, photo books, calendars, diaries and school yearbooks. Our NEW amazing online professional Photo Book Design Software launched in January 2015. 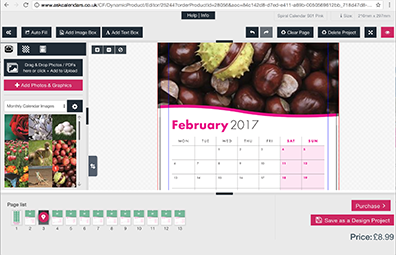 A complete DTP package that runs from your browser and stores your designs and images securely in the cloud with the PDFs generated slipping straight into our Production workflow.